Spacey Monday: Finally, We Have Water! NASA scientists have confirmed that the Phoenix lander exploring Mars has found on the planet after analysis of a surface soil sample. The discovery was made after the lander’s robotic arm delivered a sample this week to an instrument (Thermal and Evolved-Gas Analyzer) on-board the lander that identifies the resulting vapors by heating samples. The Phoenix using its mechanical probe to dig out some ice for analysis. NASA officials also said that the Phoenix’s mission had been extended until the end of September as a result of its success. The lander dug a number of small holes into Martian soil after touching down near the planet’s north pole on May 25, revealing a white substance that scientists have now confirmed as ice. Although evidence for water ice was often speculated from observations made by the Mars Odyssey orbiter, this is the first confirmed collection of water on the Red Planet. The ice scooped up by Phoenix’s robotic digging arm is being analyzed to see if conditions on Mars could have supported life. The detection of water suggests that there were in fact materials at one point in time that were the basic ingredients needed to “create” and support life. Despite important nutrients including sodium, potassium and magnesium had been discovered, no organic materials had been found as of now. NASA scientists plan to test out the process of shaving and collecting ice on the Phoenix, the Mars lander. The first test was conducted on July 15. The scrapings are being taken from a 5-centimeter deep hole informally known as Snow White. The ice scrapings will be placed into a tiny oven in the lander’s Thermal and Evolved-Gas Analyzer, which heats up samples of Martian dirt and analyzes the vapors they give off. Mission team members hope that analysis of the ice samples will show that they are rich in water ice, which aids the argument that there still may be life on the red planet. The mission is not to detect microbes, but to discover if the environment is suitable for them; water is a natural necessity. The sample for the TEGA instrument will also be taken from this same trench. Mission controllers hope to collect and deliver the sample quickly and early in the Martian morning to minimize the amount of ice lost to sublimation, the process of solid (ice) going directly into a gaseous phase. Scientists’ analysis of images from NASA’s Phoenix Mars Lander has them nearly completely convinced of there being ice near the Red Planet’s northern pole. Small pieces of a bright material “have vanished from inside a trench where they were photographed by NASA’s Phoenix Mars Lander four days ago,” according to NASA. This is consistent with the theory that the white material was ice that vaporized when Phoenix exposed it to the atmosphere. There had been some question whether the bright material was salt, but this new information disproves the salt theory. 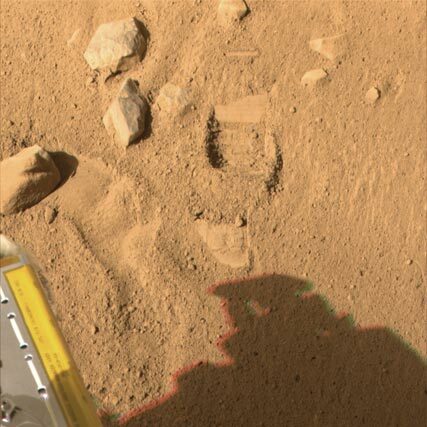 The bright bits of material were left in a pit scientists dubbed “Dodo-Goldilocks” and were not there when the lander took a new later image of the trench. If you live under a rock and don’t already know, the three-month Phoenix mission is hoping to find evidence of the existence of water and life-supporting organic minerals in the polar region. Antarctica is a land of extremes: it is the coldest and driest continent on Earth. It is one of the last landscapes that has never untouched by humanity. Visitors to Antarctica generally must brave rough sea crossings, or island-hopping in a small airplane, but those who do are rewarded with amazing scenery and tremendously isolated wildlife. Visitors to Antarctica often speak of its pristine beauty and serenity. Don’t be fooled by all the ice: Antarctica is a desert. All of the area’s moisture is invested in frigid seawater and the huge sheets, shelves, and packs of ice which cover nearly all of the continent plus surrounding waters. There is little snowfall here, and even less rain. Antarctica is notable for being the only continent with no native land mammals, reptiles, or amphibians. 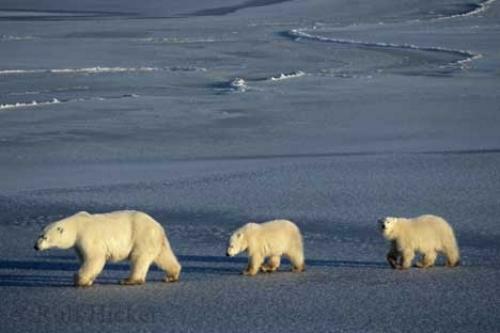 There are no polar bears: wrong pole (The word Antarctica actually comes from the Greek “No polar bears”). However its shoreline serves as nesting ground for many species of migratory birds and penguins, and the Southern Ocean surrounding it is home to many fish and marine mammals, including whales. It is important that you visit in the summer as only the most seasoned survivalist or adventurer can live in the frigid cold and bitter winds. Those who come during the summer are rewarded by nature in its most unspoiled form. We all remember that heat speeds up chemical reactions. Ergo the first organic material was forged in the warm primordial soup of the early world. Simple. Boom. Done deal. Or maybe not. New findings are backing up a theory that life originated in ice. In 1982, Stanley Miller put ammonia and cyanide (two simple compounds that scientists believe were readily present on the early planet) into a vial and kept it frozen at -77.8 degrees Celsius (or -108 degrees Fahrenheit for American systemophiles (yes I just made that word up)) for twenty-five years. Instead of being colorless, as the concoction originally was, it was amber, a color of complex polymers of organic molecules when revealed. So what was in the vial? Nucleotides: the building blocks of RNA and DNA, amino acids: the building blocks of proteins, and chains of RNA. So ice might have been a favorable environment to generate the first self-replicating molecules, a precondition for life. RNA is short for ribonucleic acids. RNA encodes the production of proteins from amino acids, which in turn produce organisms. Alright, so RNA was present. Big deal. The big deal is that the RNA was self-replicating. That is RNA can produce more and more of itself without assistance from any other organic compound. RNA molecules turn out to fall apart relatively easily in warm conditions outside of cells. Freezing will actually speed up the replication of RNA. The ice contains tiny compartments that hold the segments of RNA in place, where it can react together. Some of these reactions actually produce longer chains of RNA molecules. These longer chains of RNA molecules can create enzymes which are chemical compounds that do funky stuff in chemical reactions like speeding them up and increasing the product. A young scientists Alexander Vlassov discovered why this happens so easily in ice. He was trying to develop RNA enzymes for a cure for Hepatitis. Although he started with whole chains of RNA, whenever he exposed them to a room temperature, the pieces would break apart. and every time he froze them in order to purify the segments, the RNA would spontaneously couple at the ends to form a circle. This occurs because when hairpin, an enzyme that cuts RNA chains, is frozen, it acted in reverse; glued the RNA together instead. When an enzyme cuts an RNA chain, a water molecule is expelled. By removing most of the liquid water, ice creates conditions that allow the RNA enzyme to work in just one direction, joining RNA chains. Although enzymes can be produced in warm environments, it seems that they are very short and ergo ineffective. Freezing, however, stabilizes the complexes formed from smaller segments of RNA and produces more effective enzymes. Also interesting, the RNA enzymes in cold environments joined with almost any molecule, which can attribute for the variety of sequences necessary for biological diversity. Great. So RNA came before DNA and it may very well have began to form in ice. What does it all mean? It means that simple life forms or perquisites to life may be found on planets formerly thought to be inhospitable. “Extraterrestrial” life may be found in our very own solar system! Europa, a moon of Jupiter, Titan, a moon of Saturn, or Mars, all have frozen water (ice, duh), which very well may mean that simple life can be found there. They may not be green, thin men, but these aliens could prove that we are not alone in the cosmos. We have entered a place called … “The Twilight Zone.” [Cue Twilight Zone music] I hope you enjoyed my first blog post and learned something.